Do you have a gas emergency? Gas leaks, LPG installations, gas conversions, pipe upgrades & more. We service the entire Brisbane area. Our licensed gas fitters specialise in servicing, installation and repairs. We can help with everything from gas leaks, LPG installations, gas conversions, pipe upgrades and more. We always ensure our work meets all Australian safety regulations and requirements when working with natural gas and LPG systems. Call today to enlist the help of one of our gas fitters to resolve your gas fitting needs. Leaking gas is a potentially dangerous issue and it should be dealt with urgently. If you smell leaking gas around your home the first thing to do is to turn off the gas at the meter (for natural gas) or at the bottles (for LPG). Another potential sign of a gas leak might be an unusually high gas bill or your LPG cylinders running out faster than normal. If this sounds familiar then you shouldn’t ignore the warning signs. Call Jabiru Plumbing Services; we’re available for emergency work at any time of the day or night. We can quickly and safely locate any leaks and promptly carry out any necessary repairs. When it comes to gas, don’t risk the safety of your family, your home or yourself. Gas fitting can only be carried out by a licensed and accredited gas fitter. 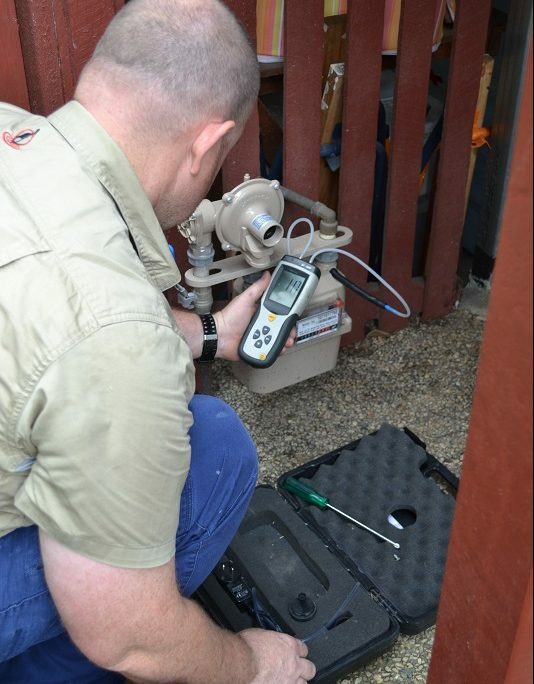 If you need gas fitting services in Brisbane, make sure your first call is to Jabiru Plumbing Services!